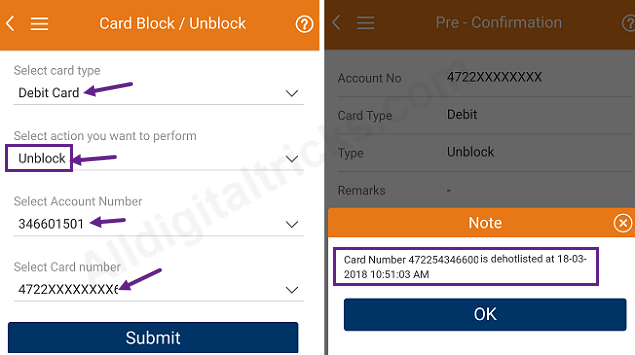 How to temporary Block/Unblock ICICI ATM/Debit card? Yes, now you can give more security to your ICICI ATM/debit card with easy switch ON/OFF feature. Temporary card blocking features allows you temporary disable your card for any transactions at ATM, POS or online. When you are not using your card, you can turn it off to avoid any misuse. Suppose you lost your card and you are 100% sure that you will get it back, then in this situation you can disable card for sometime and when you get it back, simply turn it on again. No need to block your card permanent. ICICI iMobile is one of the best mobile banking application available on Android and iOS. You can check account balance & statement, open fixed deposit,PPF account, manage credit & debit card, change account details and more. See how to Switch on/off atm-debit card. 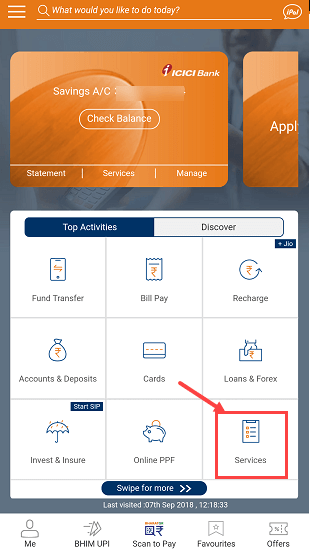 1: Login to imobile banking and tap on Services tab. 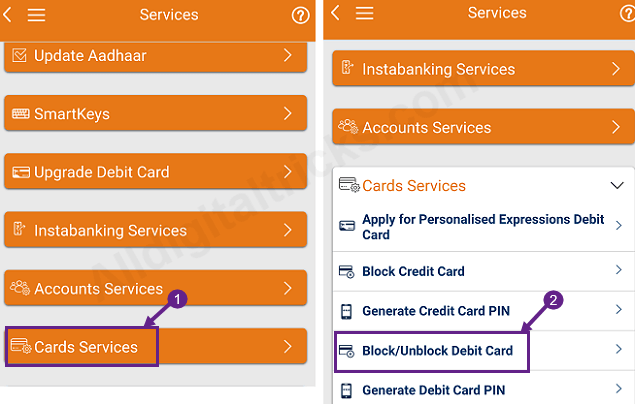 2: In Services, tap on Card Services & then tap on Block/Unblock Debit card. 3: In next screen, select your card, account number and in card type select Temporary. Now submit your request. That’s it card is now disabled and can’t be used at any channels. To turn it on, Open card options again. 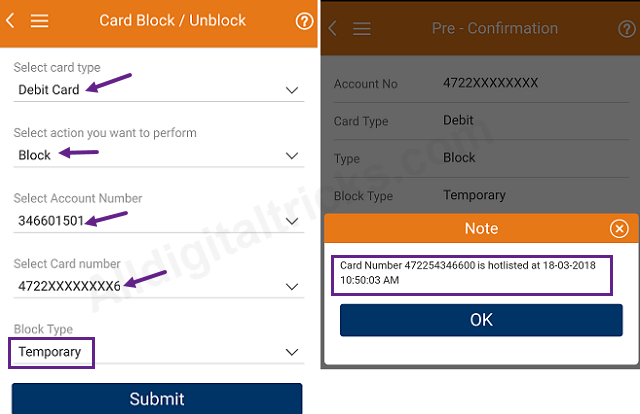 Select card type, select Unblock option, account number & card number. Submit your request. That’s it your debit card is activated again. So this is how you can temporary block/unblock (on/off) icici atm/debit card. You can also use manage debit card feature on imobile to enable/disable card usage for different channels like international, atm and pos.